If you want to build muscle without gaining fat, then your diet is just as important as your workout. So before you lift a weight, make sure you lift plenty of spoons and forks. 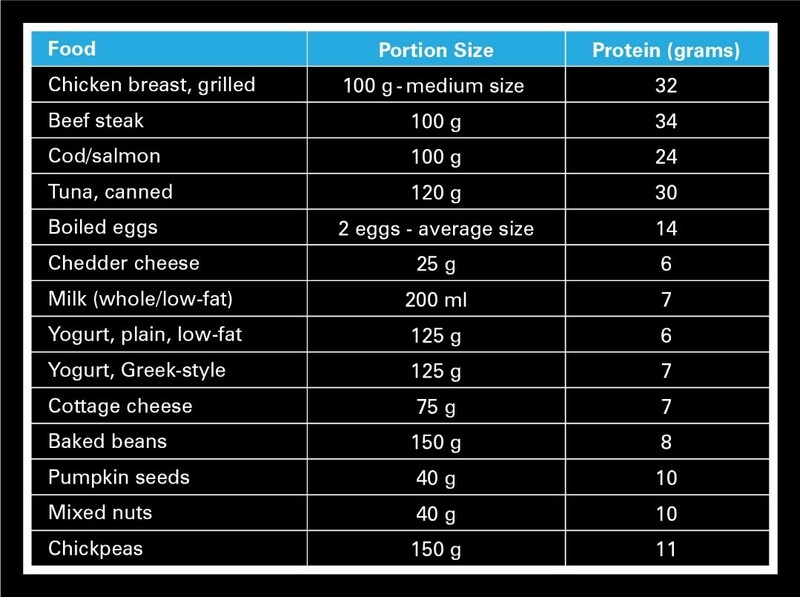 Aim to get 1.0g – 1.6g of protein per kg of body weight per day and spread this across meals and snacks. Remember, dairy is a rich, natural source of protein. Which is handy. And delicious. Aim for increases of 0.3-0.5 kg per week; and combine with a training programme to ensure body weight gains are muscle rather than fat. Increase calorie intake by choosing healthy and nutritious foods. For example, although fat provides more calories per gram, avoid overindulgence in high fat, processed foods as this may result in fat gain rather than muscle gain. Protein plays an important role in muscle growth and maintenance. Generally, 1.2-2g of protein per kilogram of body weight ensures needs are met for gaining muscle. Increase meal frequency to 4-5 times per day. This helps to avoid stomach discomfort that may result from eating a high volume of food across three meals. Try not to compare your results to others as the ability to gain muscle is determined by our individual genetic ability. Be patient and avoid unnecessary ‘quick fixes’. If considering the use of muscle-gaining supplements, discuss their safety and effectiveness with a sports dietitian. 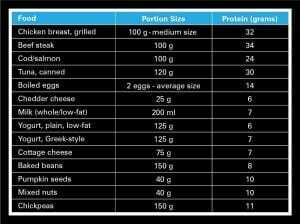 Protein – why, when and how much? Foods such as lean meat, fish, eggs, milk, cheese and yogurt are among the best protein providers as these are ‘complete’ protein sources – providing all of the amino acids (building blocks of protein) that the body needs. Other protein sources include beans, lentils, nuts and seeds.